The ultimate in versatility, reliability and performance, Jerr-Dan’s industrial carriers are built to take on the most demanding jobs you face. Models available from 6- to 15-ton capacities. Deck lengths from 19’ through 30’. Deck widths of 96” and 102”. Steel, wood and Morton-Star decking options. 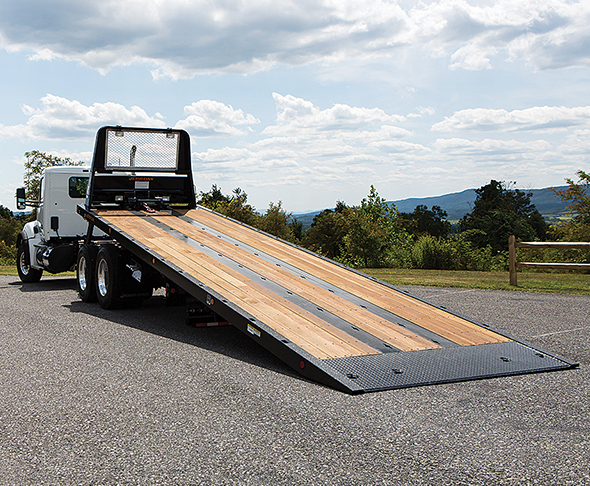 Many innovative deck and towing options available. Call 800/926-9666 or visit www.jerrdan.com.